Many Destiny 2 players are having crashing issues with their game. Their game freezes and closes when they’re in the middle of a crucible, strike, mission, etc. This issue occurs randomly and frequently, and when it happens no error message shows up. It totally ruins their gaming experience. This is a very annoying issue. And trying to fix it can be just as annoying, because you’ll spend a lot of time reading suggestions on the Internet, and most won’t work. But don’t worry! The following are a few methods that have helped many Destiny 2 players fix their crashing issues. 2) On your keyboard, press the Ctrl, Shift and Esc keys at the same time to invoke Task Manager. 3) Click the Details tab (or the Processes tab if you’re on Windows 7). 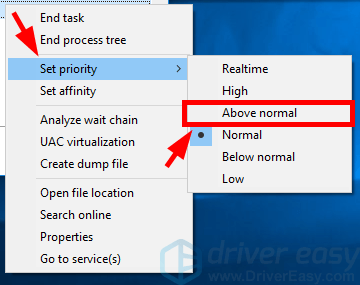 4) Right click your game (destiny2.exe), hover over Set priority and click Above normal. 5) Restore your game. If this resolves your problem, your game won’t crash any more. Your Destiny 2 may be crashed by interference from some programs running in the background. They include utility programs provided by your hardware manufacturers that can improve your game performance or temporarily overclock your components (MSI Afterburner, for example). To see if that’s the case for you, close all those programs before you run your game. Then check to see if this is able to stop your crashing issue. You may get crashing issue with your Destiny 2 if you’re using a wrong driver or it’s out of date. You should update your device drivers and see if this resolves your problem. 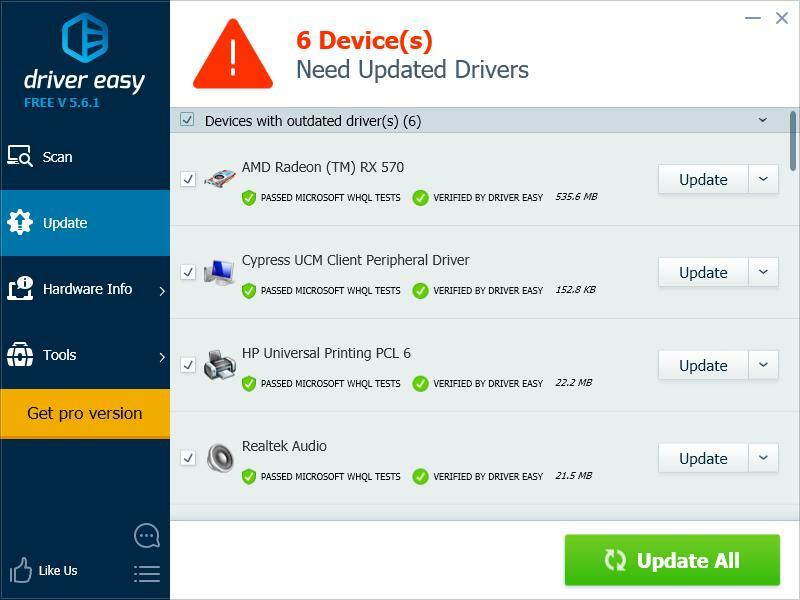 If you don’t have the time, patience or skills to update drivers manually, you can do it automatically with Driver Easy. If you have overclocked your components like CPU, GPU or RAM, set their clock speeds back to the default. If you haven’t overclocked them, decrease their clock speeds by about 10 percent. You may need to consult the manuals of your hardware components for more information about setting their clock speeds. Then check to see if this is able to fix your crashing issue.